It will come as no surprise to you that we love looking at properties. From mountain chalets to beach side villas, discovering beautiful gems that make utterly luxurious homes is one of the favourite parts of our job. That’s why when we find particularly fantastic luxury properties we want to share them with you, so you can see the best of the best and, perhaps, find your dream home! This week we are counting down our favourite top ten luxury homes available now at www.gulfsothebysrealty.com – each of them offer a uniquely special way of life, all with our signature commitment to luxury. We’re kicking off with this absolutely exquisite, fully-renovated DIFC Penthouse (PH16797). 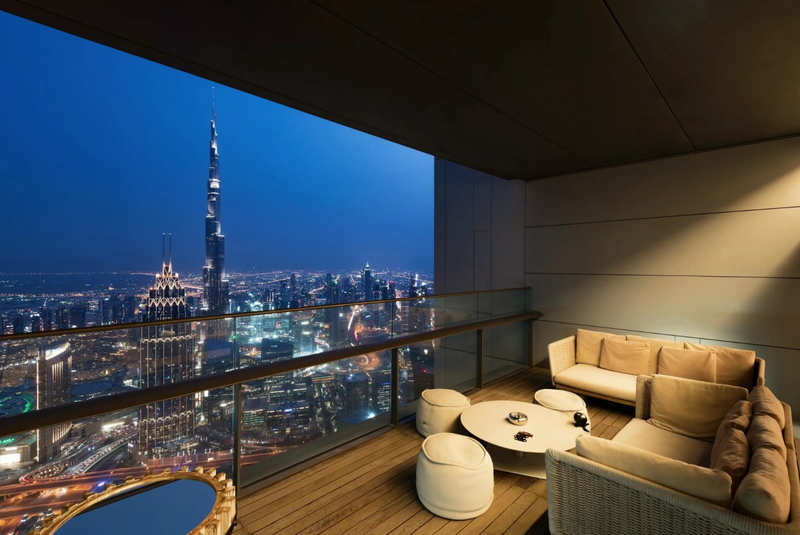 At 9,000sq ft, this spacious 3 bedroom property occupies the top three floors of the renowned Index Tower, giving it unrivalled (and unforgettable views) of Downtown and Burj Khalifa. An opulent Master Suite with a Japanese soaking tub, a walk in wardrobe and a king size Jacuzzi are complimented by the generous window design throughout, so your view is never far away. Oh and did we mention the fully equipped gym, sauna, a fully equipped spa and a private terrace on the third floor? 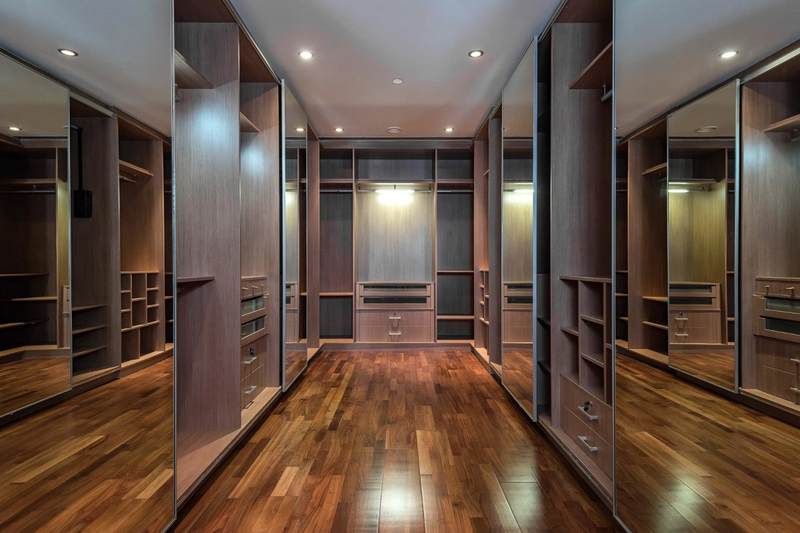 Everyone knows that Emirates Hills offers some of the absolutely outstanding properties on the market right now and we have two such marvels of architecture and design for you. You will feel like royalty in this majestic five bedroom mansion (Vi963) complete with golf course view. Every aspect of this property has been designed to provide the ultimate in luxury and convenience including the high-grade marble from Italy; solid wood wall panels, doors, and window arch frames; Ralph Lauren, Becker and Giorgetti furniture; waterproofed teak wood design; Poliform kitchen and wardrobe systems; Lorenzo Rubelli curtains; Villeroy & Boch sanitary ware; and Gessi mixers. This fully automated smart home is definitely reserved for the best of the best. If finding your dream family home is top of your agenda, then this stunning, open-plan five bedroom villa (VI578) could be just the answer. This upgraded property has been designed to enhance the luxury family lifestyle and offer a balance between spaces in the home. From its modern European kitchen to its large private pool, there is plenty of scope to make this a home that you will love for many, many years to come. If you are looking for something bigger in this coveted location, why not consider this beautifully designed, contemporary 8 bedroom villa (VI718). The private corner lot of this home makes it even more desirable, as well as its superb views, efficient layout and decadent, modern fittings. Your family will never run out of things to do now they have a cinema room, gymnasium and private spa! If only the Palm will do (and we could understand why), you won’t want to miss this perfectlyposition six bedroom signature villa (VI466). This private, highly secure location is one of the largest available on the Palm with a 13,000 Sq.Ft. plot. From its magnificent views to the state-of-the-art kitchen and its giant infinity swimming pool, this extraordinary property needs to be seen to be believed. If you’ve had a chance to read our deep dive on Al Barari, you will know what a sort after location this is and how its environment is truly unique and special. This ravishing six bedroom, ten bathroom, Dahlia villa (VI17414) in The Residences is a vision unto itself. With a 20,000 sq.ft. plot to play with, this property actually includes its very own Majilis in the garden, making it one of the most sort after homes in the community. 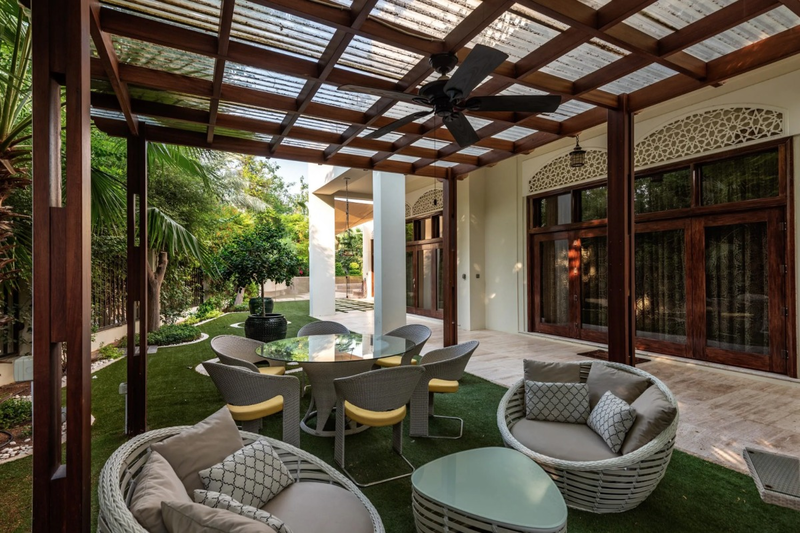 The opportunities for entertaining continue with a private swimming pool, formal dining room and formal lounge and a roof top entertainment area. There are even 4 additional car parking spaces, on top of the 3 car covered garage, so your guests will never have trouble coming to visit. The elegance and welcoming sentiment of this engaging 5 bedroom family villa (VI88003) is impossible to deny. Envious located in a corner plot of the Bromelia community, this home overlooks a stunning themed garden surrounded by lakes and streams. As well as the generous space, with the landscaped gardens, herb garden, swimming pool, plunge pool, pool pavilion and spa, barbeque area and roof terraces with roof gardens, you will never run out of ways to entertain. The expansion of Al Barari has seen the addition of aspirational community The Nest. This innovative four bedroom villa (VI90049) is a prime example of why this is the ultimate boutique address to covet. It’s inspired architecture is designed to offer captivating views, an elegant atmosphere and distinctive green living of which you can be proud. For those in the know, openings at the exclusive Le Reve do not come up very often and when faced with the sheer wonder of this luxurious four bedroom penthouse (AP89208) it is easy to see why. French for “The Dream”, every property in this highly-sought after location is crafted as if ripped from the pages of a winning architectural magazine. At 6300 sq ft and with views that defy imagination, this is the only location for the ultimately indulgent cosmopolitan lifestyle.